David Berg is one California’s leading real estate professionals whose success over the past 14 years has earned him a position at the forefront of the Los Angeles real estate scene. Consistently a top producer in transactions and sales volume amongst all teams in the state, David (known to most as “Berg”) puts forth an ideal blend of industry knowledge, negotiation skills and authentic personality, resulting in a seamless and enjoyable transaction for all parties. As one of the original Associate Partners at Partners Trust (now Compass), David has been instrumental in the company’s growth. He joined forces with Partners Trust Co-Founder F. Ron Smith to form Smith & Berg Partners, a team known as one of the most active on the Westside, especially in new construction, architectural homes, and as the go-to agents for Westside developers. Acknowledging a shared command over the local market and innate sense of humor, David and F. Ron, with the addition of a handful of key team players, represent the interests of business leaders, celebrities and residential developers, as well as individual buyers and sellers throughout Los Angeles. 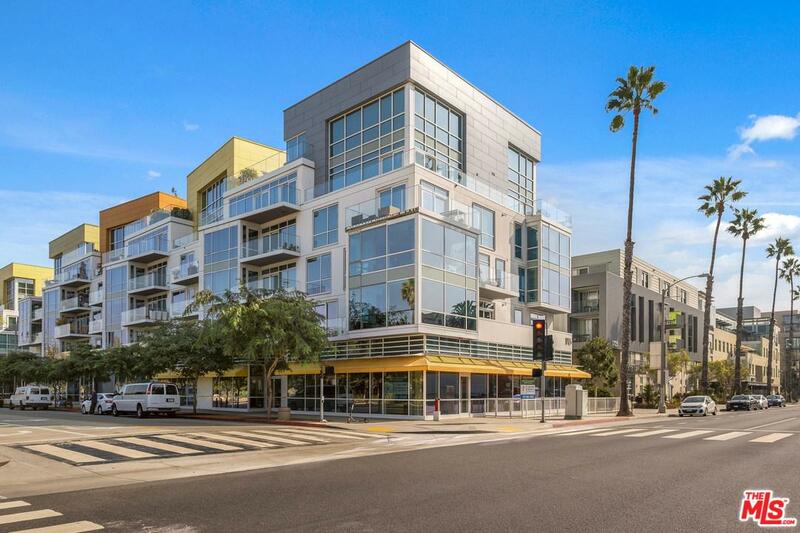 With well over $3 billion in career sales, Smith & Berg have brokered some of the most notable transactions on the Westside. Their properties are consistently featured in such media outlets as the Los Angeles Times, Curbed and The Hollywood Reporter, among others. With a lifetime of exposure to some of the most sought-after neighborhoods in Los Angeles, David brings invaluable intel, insight and relationships to the Smith & Berg team. Known for his arsenal of marketing tools, relaxed energy and proven strategies, David is a smart recruit to your end of the negotiation table. With the utmost confidence, he excels in orchestrating seamless transactions, while managing expectations and maintaining the highest level of integrity among clients and industry peers. David’s astute knowledge of the financial industry leads to continuous transactions for the likes of banking institutions, the Communication Workers of America Union, Los Angeles Leadership Academy and the Florence Crittenton Foundation. His experience includes transacting receivership estates, bankruptcy sales, trust sales, short sales, and bank-owned properties. 321 S. Mariposa Avenue is centrally located in Koreatown and has easy to Downtown Los Angeles. There is a unit mix of 12 one bedroom / one bath units and 2 two bed / one bath units. Built in 1956, this building is situated on a 10,282 square foot R4 lot and has a total living/building area of 9,801 square feet. Some of the amenities of the building include: controlled access, 16 car parking, swimming pool, on-site laundry, and center court yard. The building is presently 100% occupied with over 25% upside potential, and is separately metered for gas and electricity. Additionally, there is ample street parking in the neighborhood. The subject property is close to the 10 Freeway, public transportation, shopping, dining, local attractions and entertainment. The immediate surrounding area consists of Southwestern Law School, Shatto Recreational Center, Shriners Hospital for Children, and Charles Kim Elementary School. 1728 S. ROBERTSON IS CENTRALLY LOCATED, BLOCKS FROM BEVERLY HILLS, WITH EASY 10 FREEWAY ACCESS. THERE IS A UNIT MIX OF 6 ONE BEDROOM/ONE BATH UNITS AND 2 TWO BEDROOM/ONE BATH UNITS. FIVE OF THE UNITS HAVE BEEN SUBSTANTIALLY UPGRADED WITH GRANITE COUNTER TOPS, HARDWOOD FLOORS AND RENOVATED BATHROOMS. BUILT IN 1965, THIS BUILDING IS SITUATED ON A 5,520 SQUARE FOOT LOT AND HAS A TOTAL LIVING/BUILDING AREA OF 5,009 SQUARE FEET. SOME OF THE AMENITIES OF THE BUILDING INCLUDE: ON-SITE LAUNDRY, AND PARKING FOR SEVEN CARS WITH PLENTY OF STREET PARKING IN THE NEIGHBORHOOD. THE BUILDING IS PRESENTLY 100% OCCUPIED, AND IS SEPARATELY METERED FOR GAS AND ELECTRICITY. THE BUILDING WAS RECENTLY PAINTED AND PASSED SECP IN NOV. 2010. Please See Private Remarks DO NOT ENTER THE PROPERTY OR DISTURB TENANTS. 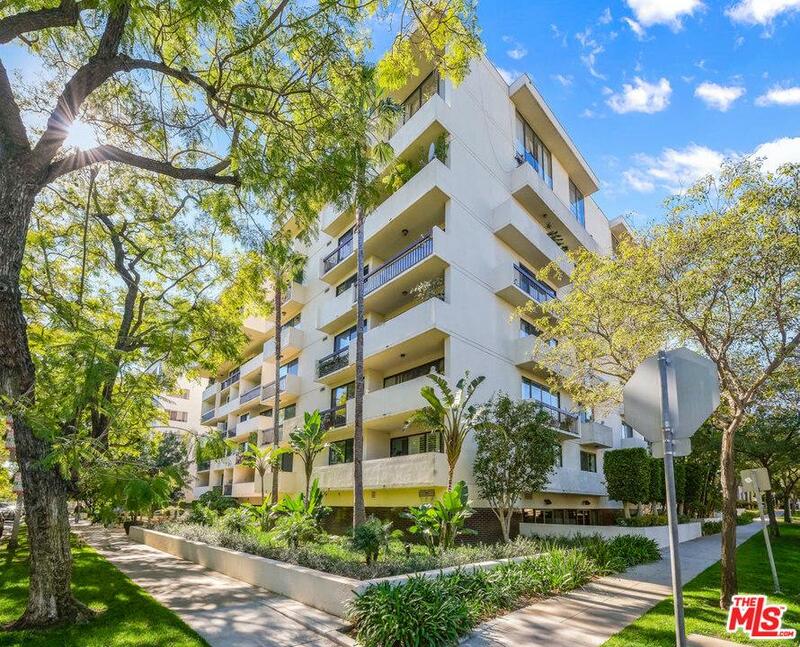 1115 N. Flores is an irreplaceable mid-century apartment building located in one of West Hollywood's most desirable locations. This value-add opportunity is situated in a sophisticated residential enclave, close to the trendy shopping, elegant dining and nightlife. There are ten units totaling 9,828 square- feet; consisting of two large 3-bedroom, 2-bath units, four large 2-bedroom, 1.5-bath units, and four 1-bedroom, 1-bath units.The building features central water heater and common area laundry facilities for resident use and separate gas and electrical meters. There are 10 individual parking spaces, and street parking by permit for residents and guests. All offers are due Friday April 19, 2013 at 12:00pm. Please email listing agent for offering package. Great investment opportunity! This 12-unit apartment building located at 7504 Hollywood Blvd, in the Hollywood submarket of Los Angeles. The building consists of three (3) two bedroom/one bathroom units, and nine (9) one bedroom/one bathroom units. The building is situated on an 9,564 square foot lot with approximately 11,810 square feet of living space. Situated on Hollywood Boulevard, it is only a few blocks from the Runyon Canyon entrance. The property is located in a prime location and near some of the best shopping, dining, and entertainment in Hollywood. One of Santa Monica's finest Arts and Crafts-style homes, 2511 Beverley is perched atop the highest hill in Ocean Park halfway between the Santa Monica Pier and Abbot Kinney (a five-minute drive from the 10 Fwy) with sweeping views of Santa Monica Bay, Catalina Island, and the city lights. Walk to the shops and restaurants of Main Street and some of the most popular surfing and beach life in the world. This private gated residence was built in 1912, meticulously restored to its original character and updated with modern fixtures and amenities for today's modern California living. This home is surrounded by an unrivaled expansive park-like ocean-view yard with lush landscaping. At approx. 16,000 square feet, it is the largest single-family lot in otherwise densely-developed Ocean Park. The guest bungalow is a resort unto itself, complete with its own kitchen, living room, 2 bedrooms and bathroom, and charming hill-top ocean-view patio. Spectacular entertainer's dream home located in prestigious Palisades Riviera. This property is situated on an approximate 12,910 square foot lot, the house boasts approximately 5,300 square feet and has been extensively renovated with top-of-the-line materials by Brian Murphy, AIA in 2007. This 6 bedrooms and 6.5 baths turn-key home offers a formal living room, family room, chef's kitchen and a formal dining room. The entire ground floor opens to a fantastic and completely private patio area which includes a salt water pool, spa, outdoor shower along with an outdoor kitchen/grill. Come visit this ultra-bright home surrounded by beautiful mature trees. The second floor offers partial ocean views. The home is equipped with a Crestron System and Fleetwood doors that pocket creating an authentic indoor/outdoor California lifestyle. OFFERS DUE FRIDAY, SEPTEMBER 14, 2012 at 5:00pm. 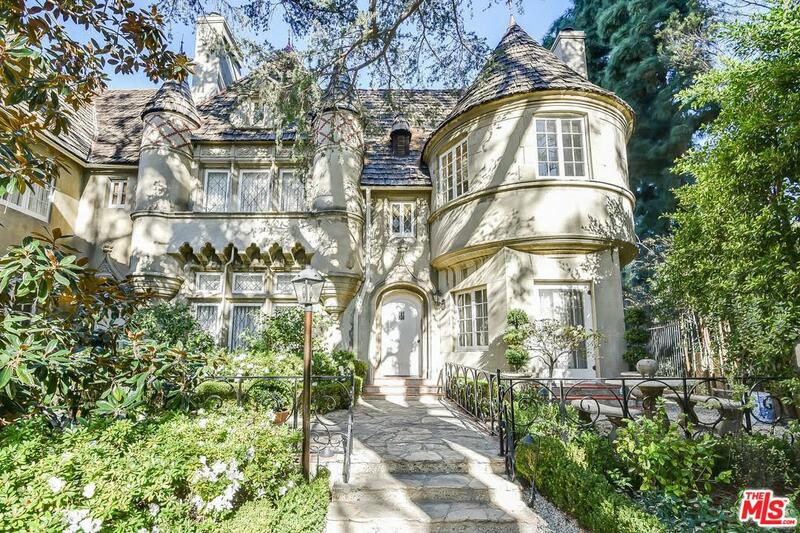 Hedged and private enchanted Country English in a prime Beverly Hills location awaits your arrival. This impeccably maintained home boasts 4 Bedrooms and 4.5 Bathrooms. Open remodeled chef's kitchen with family room, breakfast nook, marble counter tops and stainless steel appliances. All upstairs bedrooms have en suite bathrooms. Master with his/hers closets and baths. Elegant dining room with wood paneled walls. Large, sun filled living room with high ceilings and a grand fireplace. Peg and groove hardwood floors throughout. French doors lead to an outdoor porch with built-in barbecue perfect for alfresco dining. Romantic grassy backyard with a pool and spa provide a great flow for entertaining. Guest house with 2 bedrooms, 2 baths, fireplace, den and laundry facilities. Available for Lease: Stylish and pristine unit #54 in the historic 1930 Granville Towers. This gem has views of the Downtown skyline and some of Los Angeles iconic structures. Hardwood Floor throughout, updated kitchen with granite countertops and bath with shower and soaking tub. This gated security building has a 24 hour doorman allowing for peace of mind for the most security conscience. Just moments from Crunch Gym, Coffer Bean, Trader Joe's, restaurants and more. Available August 1st. Built in 2008, 'Habitat on the Park' is a 12-unit Contemporary building near some of the best restaurants, shopping, and nightlife in West Hollywood. The 4-story complex is next to a beautiful, serene, city owned garden designed by architect Katie Spitz. This 2 bedroom, 2 bath condo has an open floor plan and a nice sized loft. The living room boasts high ceilings and incredible, natural light. There is a balcony off the living room that is large enough for entertaining several guests. The unit is pre-wired for audio and the kitchen encompasses a six burner range and hood, a built in refrigerator, and a movable island. The underground parking structure is secured, offers tandem parking and a large, individually gated storage space. 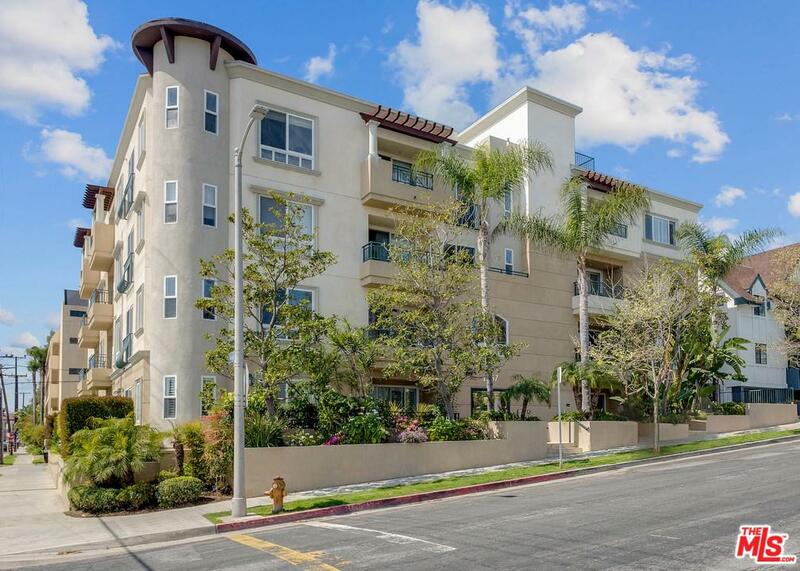 1277 S. Beverly Glen Blvd #306 is a light filled, spacious condo featuring 2 bedrooms and 2 baths. It is located in a prime and central Westwood location. This quiet, rear facing unit boasts an open floor plans which is great for entertaining. South-West exposure provides natural light shining throughout most of the day. The master bedroom features a large walk-in closet and a private bathroom. Common amenities include rec-room, dry sauna, spa and pool. 424 N. Sycamore Ave, "La Petit Chateau Sycamore" is an irreplaceable and impeccably maintained French Normandy/Chateau style apartment building located on one of Los Angeles' most desirable Hancock Park Street. The property is situated in a sophisticated residential enclave, close to trendy shopping and elegant dining on Melrose Ave and Beverly Blvd. There are six units, consisting of two, large two bedroom, one- bath units, and four, large one bedroom, one-bath units, totaling 6099 square-feet. All units have hardwood floors, wainscoting, vintage tile bathrooms and kitchens and elegant fireplace mantles in the living rooms. The building features upgrades including copper plumbing, presidential roof, color-coated stucco and details such as refinished original flooring. The property also features common area laundry facilities (leased) for resident use and separate gas and electrical meters. There are 6 individual parking spaces. Agents, See Private Remarks. First time on the market in many years. This is a great opportunity to own a prime location, North of Montana Avenue, near Georgina. Charming 3bd 2.75 bath, approximately 2,380 square feet (according to the tax records). Move right in or perform your updates to this charming home in the Roosevelt School district. Coveted, west side of the street, traditional ranch style with beautiful hardwood floors, plantation shutters and crown moldings. Living room with fireplace, formal dining room, tile family room with vaulted ceilings and fireplace. Master upstairs featuring large balcony, fireplace, walk-in closet and tile bath. Large and lovely backyard, mature landscaping with fruit trees, brick patios and detached two car garage. Easy to show and open most Sundays until sold. Tranquil Laurel Canyon retreat with modern amenities nestled at the end of a quiet road. Open floor plan with vaulted ceilings and hardwood beams, built-in speakers throughout, beautiful stone fireplace, stainless steel Sub-Zero refrigerator and ultra-quiet stainless Bosch dishwasher. Indoor/Outdoor living with three sets of French doors from the Master, living room, and guest bedroom that each open to the brick dining patio and huge ~900sf redwood deck with gorgeous canyon views looking through to the Downtown city lights beyond. PLUS, hard-to-find large flat yard with grassy play area, dining area, and spa all beneath a canopy of mature oak and pepper trees. The lower level features the 3rd bedroom with updated bath, large closets, office area, laundry room, and additional separate entrance off the driveway through the gated backyard. Less than 5 minutes to Sunset, less than 10 mins to Studio City, in the coveted Wonderland school district. Gorgeous and Modern 5 bed, 5.5 bath home located in sought after Sherman Oaks neighborhood. This beautifully constructed home boasts structural clarity and rational simplicity. With 4,239 sqft. of living space and high ceilings, the pristine flowing design welcomes abundant light and spacious rooms while successfully bringing the outdoors in with large sliding glass doors. There is a large dining room, kitchen with top-of-the-line appliances, and a living room that leads to a secluded backyard oasis with pool and spa. 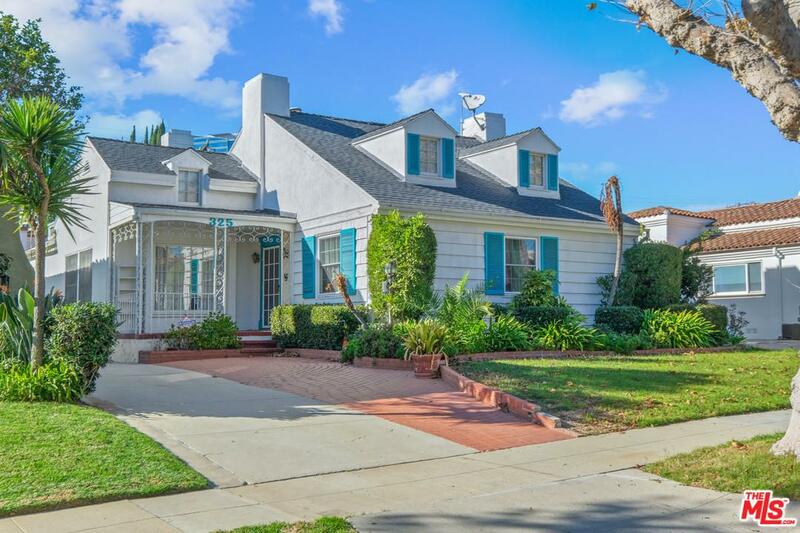 Thoughtful, 3 bed 2.5 bath traditional home located in the heart of Santa Monica. 9,000 square foot lot. This home is bright and spacious throughout, meticulously maintained with many custom details throughout. There is a gourmet kitchen with granite countertops and stainless steel appliances, a large master suite, living room with fireplace, and a spacious backyard. Near Brentwood country club, Bristol Farms and some of the best restaurants and shopping that Santa Monica has to offer. Welcome Home. A modernist masterpiece by Master builders, Sarlan Builders, this Six bedroom residence located in Santa Monica is a feat in 21st century architecture. Stacked flagstone and smooth concrete dominate the exterior facade for a statement that is sleek and fortified while towering double entrance doors open to offer a clear line of sight all the way to the home's lush backyard landscape. By merging contemporary design principles with inviting alfresco spaces, like the extended 65 foot lap pool/spa and covered patio, this residence provides year-round enjoyment as well as a 2-story guest house. Sunlight cascades through thoughtfully placed windows and a walkable 30 foot-long skylight illuminating the lower level. Distinct flooring, wood overhangs, and exposed wooden beams add warmth to the interiors, which include a glass-lined staircase leading to a game-room converted basement where natural concrete flooring and walls enhance its industrial appeal. This 2015 new construction, boasts both structural clarity and rational simplicity. It was designed by Marmol Radziner, to employ harmony with nature and constructed by Fountainhead Builders-Developers to employ curated attention. Perfectly flowing with the design and landscape, the home successfully brings the outdoors in with floor-to-ceiling windows throughout. A commanding 5 bedrooms /5.5 Baths with city and greenbelt views. This architectural home delivers. Completed in 2004, the "Abidi House" as it is affectionately known, boasts both structural clarity & rational simplicity. It was designed by acclaimed architect James Tyler (FAIA), former principal architect for famed Craig Ellwood, to employ harmony w/nature. Perfectly flowing w/the natural slope of the landscape, the hm successfully brings the outdoors in w/floor-to-ceiling windows throughout. Steel H-Columns frame the windows & keep w/the Modernist tradition. From the exterior, the hm is like a minimalist sculpture-but, on a grand scale. And yet, it functions like a traditional hm. The Entrance level (2nd floor) employs a grand foyer, formal living & dining rooms, 2en-suite guest rooms, & family off the gourmet kitchen/breakfast area. On the Lower level, find secluded living: w/ 2 beds, a studio w/ its own secluded terrace, media room, office & sitting area that separates the Master Suite from the other Beds. Built w/intention, all rooms of the home give way to views. MOTIVATED IN BEVERLY HILLS. AMAZING VALUE. TRADITIONAL BEVERLY HILLS 1930'S SPANISH ARCHITECTURE, 3 BEDROOM + 2 BATH, MOVE-IN CONDITION, 2-CAR PARKING ON THE DRIVEWAY. THE LOT OFFERS BOTH A LARGE/USABLE GRASS FRONT YARD AND PRIVATE GATED BACKYARD. LOCATED WITHIN THE BEVERLY HILLS SCHOOL DISTRICT AND ON QUIET/LIGHTER TRAVELED STREET, THIS BRIGHT/SPACIOUS HOME OFFERS HARDWOOD FLOORS, KITCHEN WITH SEPARATE BREAKFAST AREA. HIGH LUMINOUS CEILINGS, WALK-WAY ARCHES, FIREPLACE, A FORMAL LIVING ROOM AND DINING ROOM, SPANISH TILE ROOF, QUAINT DECORATIVE IRON WORK. 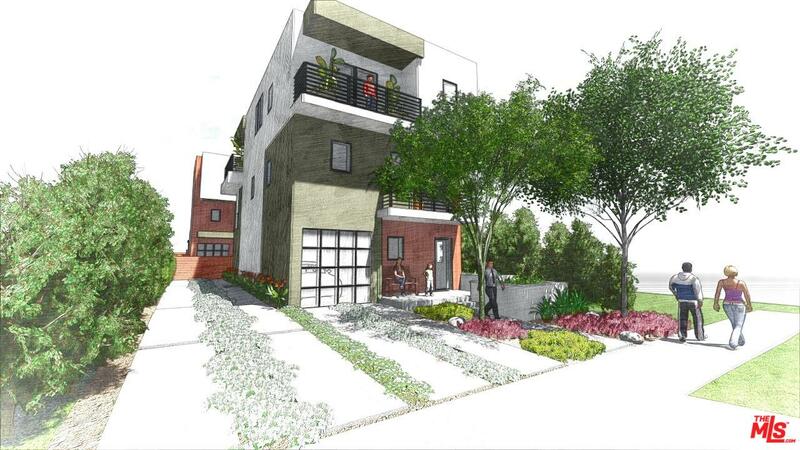 SHORT DISTANCE TO ROBERTSON BOULEVARD SHOPS/RESTAURANTS, LA CIENEGA PARKS. EASY-TO-SHOW. SEE PRIVATE REMARKS. 1220 N. NORMAN PLACE IS A SPACIOUS 3 BEDROOM, 2.5 BATH HOME LOCATED NORTH OF SUNSET IN A TRANQUIL BRENTWOOD NEIGHBORHOOD. THIS INVITING HOME BOASTS AN OPEN FLOOR PLAN, WITH RAYS OF NATURAL LIGHT SHINING THROUGH LARGE DOUBLE PANE WINDOWS, SLIDING DOORS AND FOUR WELL PLACED SKYLIGHTS. THE FORMAL DINING ROOM IS ADJACENT TO THE LARGE KITCHEN, WHICH FEATURES GRANITE COUNTER TOPS, AND A SEPARATE LAUNDRY AREA. THE LIVING ROOM, KITCHEN/DEN AND MASTER BEDROOM ALL OPEN UP TO A PRIVATE BACKYARD, WHICH HAS A POOL AND LUSH GREENERY. CLOSE TO SUNSET BLVD, AND ALL THAT BRENTWOOD HAS TO OFFER! 1220 N. Norman Place is a spacious 3 bedroom, 2.5 bath home located North of Sunset in a tranquil Brentwood neighborhood. This inviting home boasts an open floor plan, with rays of natural light shining through large double pane windows, sliding doors and four well placed skylights. The formal dining room is adjacent to the large kitchen, which features granite counter tops, and a separate laundry area. The living room, kitchen/den and master bedroom all open up to a private backyard, which has a pool and lush greenery. 975 Teakwood is a 4 bed, 4.5 bath single story gem with remarkable and expansive views of the city and ocean. Step into the foyer and make your way into the spacious living room with fireplace. The family room, equipped with fireplace and bar, looks out into the backyard with pool. French lime stone floors lead you to the kitchen with built ins. The magical master retreat has a private office in addition to french doors that provide direct access to the pool area. Welcome home. A skillful blend of elements gives this romantic Santa Barbara Transitional villa its majesty & elegance. Newly constructed to perfection by Architecture West, this property features & fine details make it unique including decorative wood beamed ceilings and a tasteful blend of woods, marble & tile throughout. Over 6,200 SF with an impressive master suite + 3 en-suite bedrooms on the upper level, and two additional en-suite rooms on the main and basement levels. The gourmet kitchen delivers with an expansive Calcutta marble island that offers seating and room to prepare meals for entertaining. You'll enjoy the open flow from the kitchen through the family room, past the large pocket doors to the back yard. An elevator conveniently services all 3 levels. This home design allows family and friends to enjoy the downstairs theater, gym and wine cellar & bar with ease. Welcome home. Charming Santa Monica home with city and mountain views. This 3 bed, 2 bath home lies on a 9,562 sqft lot and allows the perfect opportunity to build your dream home. Experience the opportunities that this setting provides; with a short distance from Brentwood Country Club. A rare opportunity with tremendous potential set in a desirable BHPO location. This jewel offers a great opportunity to move into the existing home, remodel to your liking, or tear down and build your dream home. The existing home is a quaint and charming 3+2 with hardwood floors throughout. The lot is 7488 sq/ft. in a canyon setting. Property is close to Coldwater Canyon Park and the Santa Monica Mountain recreation area with hiking trails and reservoir. Plenty of room to rebuild or remodel! Agents: See private remarks for showing instructions. Mid-Century modern with gorgeous canyon views. This 2,835 sqft home has 4 bed, 3 baths and is bright and spacious throughout with plenty of room for entertaining. The living room with fireplace has large sliding doors that lead to the oversized covered deck. The master suite with balcony has walk in closets and beautiful views. Welcome Home. SPACIOUS AND LUXURIOUS TWO BEDROOM 2.5 BATH CONDO ON THE 11TH FLOOR OF THE PRESTIGIOUS PARK WILSHIRE. BRIGHT CORNER UNIT WITH DARK HARDWOOD FLOORS, FORMAL DINING AREA, SUN FILLED DEN , ISLAND KITCHEN WITH BREAKFAST AREA, CORNER BALCONY TO TAKE IN THE SUNSET VIEWS AND TWO SPACIOUS BEDROOMS. CITY VIEW FROM EVERY ROOM AND PEEKABOO OCEAN VIEWS FROM THE MASTER. AMENITIES INCLUDE 24 HOUR GUARD AND VALET SERVICE, POOL, SPA, GYM AREA, LIBRARY AND BANQUET ROOM FOR ENTERTAINING. Inspired by a stunning Balinese villa, this expansive Brentwood compound emanates the exotic character of an island retreat. The thoughtfully-designed 8,166-square-foot home is anchored by a traditional Hawaiian lanai, an indoor tropical oasis of distinct yet connected social spaces including a dedicated bar, multiple living areas and a pool/spa that re-emerges outdoors opposite towering glass walls. Sliding doors lead from the lanai to the fundamental interiors of the home, a massive light-drenched living area with vaulted wood ceilings, and the master suite, an inspired sanctuary with a luxurious affixed tiled bathroom and sauna. Dramatic arches form the elegant exterior of much of the home, leading you out to a large outdoor lounge and separate kitchenette and dining area up against the mature hillside greenery. Inclusive of a racquetball court and gated brick motor court, the amenities afforded at this breathtaking villa rival those of a 5-star resort. This one of a kind gated 5 bedroom, 5 bathroom home offers spectacular views from each of the three levels. The first level offers a large foyer with tiled floors and 10 foot ceilings. The living room is an open space with cherry wood floors, a fireplace, two sets of French doors and large windows that provide the room plenty of natural light. The powder room, dining room, kitchen and adjoining sitting room are also on the main floor. The recently installed elevator takes you downstairs where you'll find 4 of the bedrooms including the master suite, complete with a private balcony, large en-suite bathroom and ample closet space. The lower level of this home provides endless opportunities for relaxing or entertaining, with a family room, den, additional full size bar, the fifth bedroom and bathroom. The backyard is beautifully landscaped and offers a spa and circular pool as well as plenty of patio space. Exquisitely designed and custom crafted New England Traditional by much admired architect Lise Claiborne Matthews. Set on a Brentwood cul de sac - a few blocks away from San Vicente's fine dining and curated coffee. Classic charisma, memorable architecture, and refined detailing with gorgeous grounds. An aesthetically pleasing and restaurant quality chef's kitchen with, large breakfast area and sensational "Great Room" with fireplace & bar all open through French doors to generous radiant heated covered rear porch. Overlooking a private grassy yard, sparkling pool and patio with outdoor fireplace. Entertainer's formal dining room with French doors and wainscoting. 5 bedrooms, including a master suite with sitting room, fireplace, private terrace, lovely stone bath and two large fitted closets. High ceilings, wood floors, bead board walls, crown moldings, transom windows, extensive handcrafted built-ins and an approx. 1800 bottle wine cellar and storage rooms. Welcome home! Top floor character 2 bedroom, 1 bathroom unit in small charming 4 unit building. Located in the city of Beverly Hills. Amazing, amazing price. Good credit a must. NO dogs. 1 cat only. Large living room, dining room, hardwood floor, high ceilings, central AC, washer & dryer inside, stove & fridge, carpet in bedrooms, and nice bathroom w/ separate tub & shower. Seconds to Beverly Hills Park. 1 year term minimum. No smoking. There is street parking (with permit) available). Dave couldn't have done a better job. Really stuck with me and showed a lot of character working so hard on a deal for a long time. It is with great pleasure that I recommend David Berg. I have known David for years and he has represented me in numerous real estate transactions with great results. I have the highest respect for his professional attitude and work ethic and would expect to do business together many times again in the future. David knows his markets and is extremely tactful in terms of his strategies and planning. I would highly recommend David to both experienced and first time buyers. He was really helpful and knowledgeable regarding the real estate market. He was understood exactly what we were looking for and assisted in finding our perfect property. David is a savvy hard working real professional who has a focus on residential income property. He stands out from many agents due to his market knowledge, unique marketing approach and legal insights. He is someone I would use as my own agent. David has sold two multi-family apartment properties for my family and is currently listing a new one for us. I have found him to be very forward-thinking and proactive in getting deals done. I would highly recommend David Berg of Partner's Trust as an outstanding Realtor. He recently was instrumental in selling my home that had been on the market for several months with another brokerage firm.